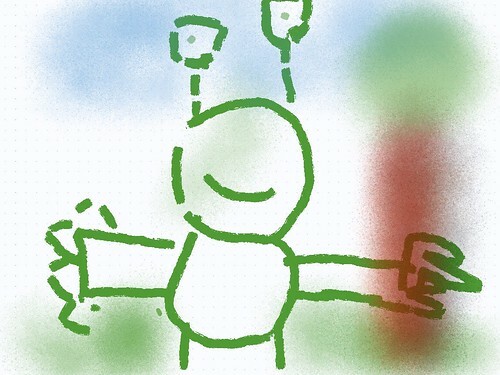 Art and design stimulates creativity and imagination. 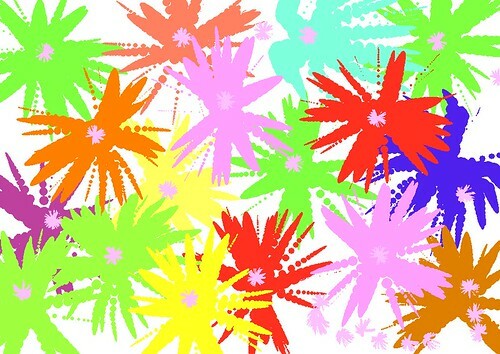 It provides visual, tactile and sensory experiences and a special way of understanding and responding to the world. It enables children to communicate what they see, feel and think through the use of colour, texture, form, pattern and different materials and processes. 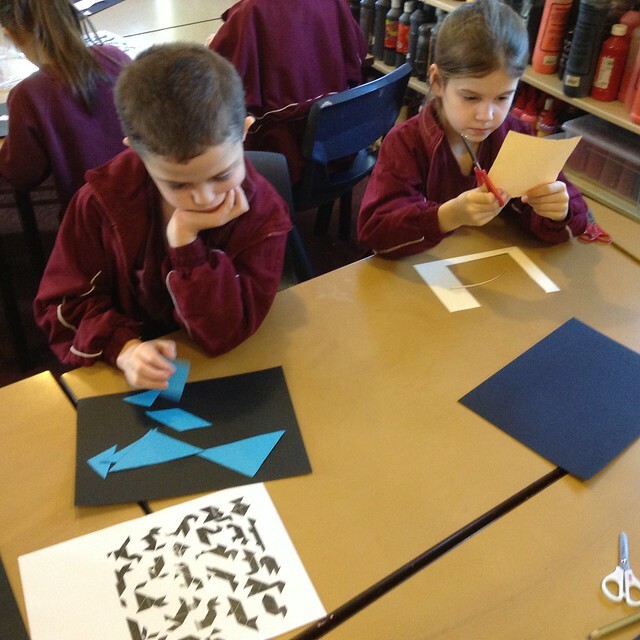 Our school uses a variety of teaching and learning styles in art and design lessons. 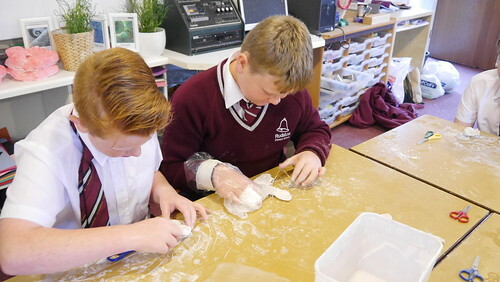 Our principal aim is to develop the children’s knowledge, skills and understanding in art and design. We ensure that the act of investigating and making something includes exploring and developing ideas, and evaluating and developing work. 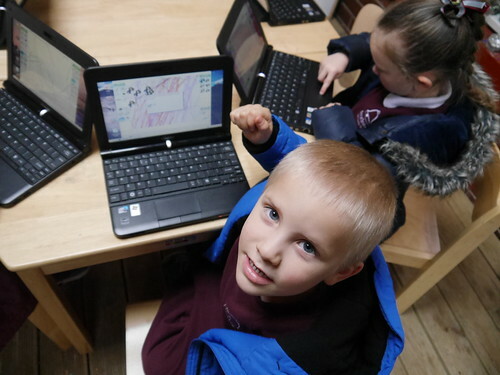 Through learning about the roles and functions of art, the children can explore the impact it has had on contemporary life and that of different times and cultures. 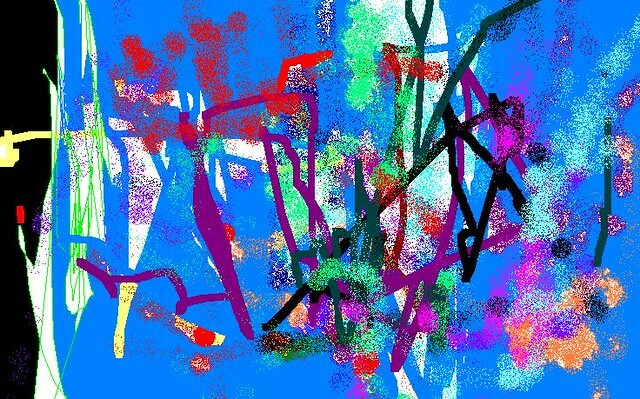 The appreciation and enjoyment of the visual arts enriches all our lives. 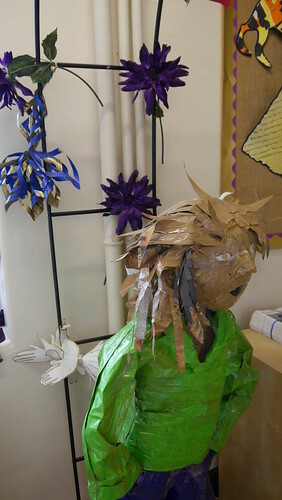 Rudston celebrates the talent and creativity of our children with constantly changing displays. 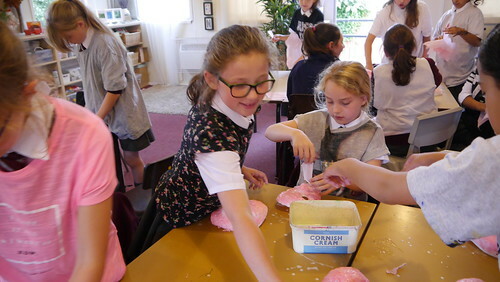 During the ‘Love of maths’ fortnight, every class had an opportunity to use their mathematical skills in an artistic way. Have a look through the album to see what they came up with. Year 2 have been studying inspirational Africans. In art we have been looking at african patterns and prints. 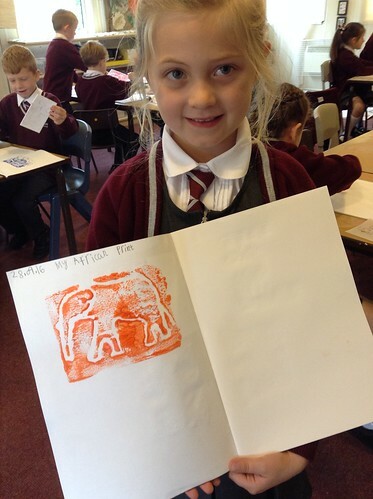 We made our prints of African animals on polystyrene tiles and printed them in lots of different colours. 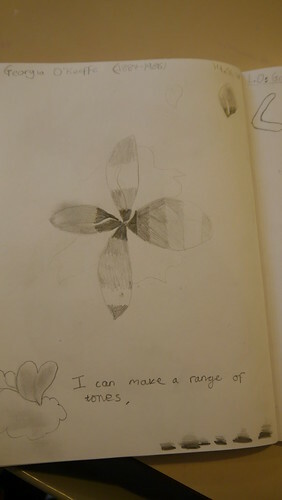 Year 5 have have been studying the work of Georgia O’Keeffe and have produced some beautiful flowers showing sketching and shading skills. They have learnt how to produce a range of tones in a variety of media. Next step is to design and make a 3D plant, that might possibly come from another planet, and a papier mache vase to put it in. Year 6 are looking at evolution. We had a whistle stop tour through the history of art and produced a piece of graffiti in our sketch books. We looked at the ways butterflies have adapted and have made butterflies with wire and mod-rock…pictures of finished designs will follow soon. In art club, Year Five and Six are looking at Venetian carnival masks. 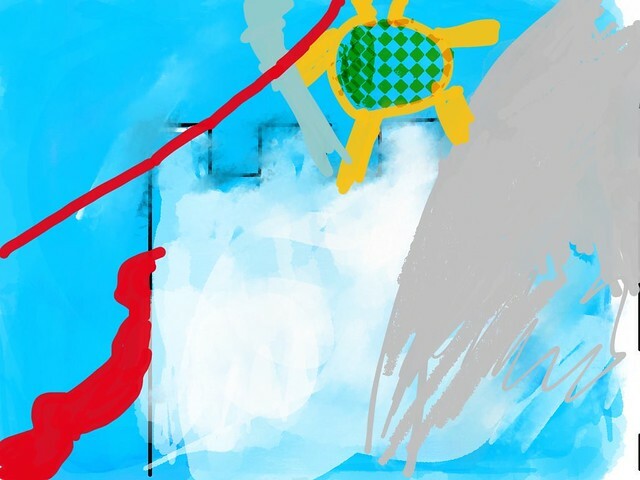 Journey Sketches If you could go through a red door to anywhere you like, where would your imagination take you to? 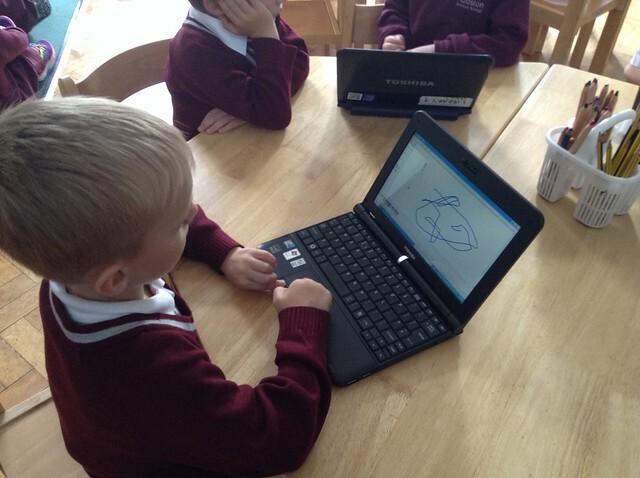 Reception have been drawing digital paintings using the Tux Paint app on our Linux netbooks. 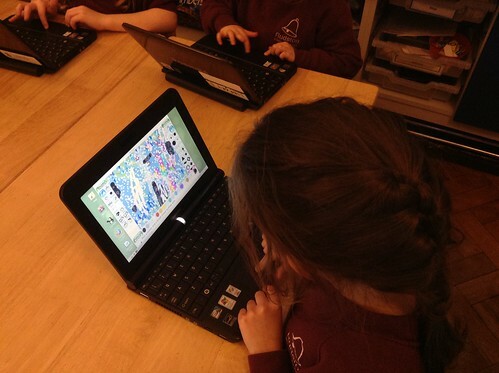 Year One have been using painting software on netbook computers, using two different operating systems – Windows and Linux. 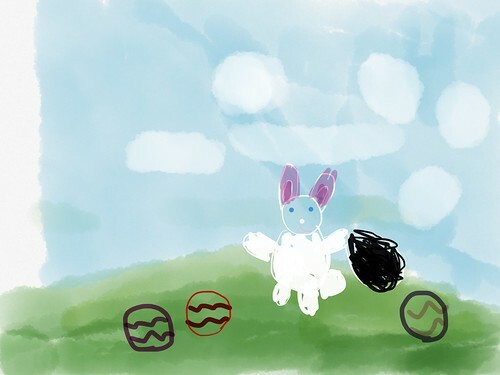 See them in the midst of their creative process, and sample some of their works, below! 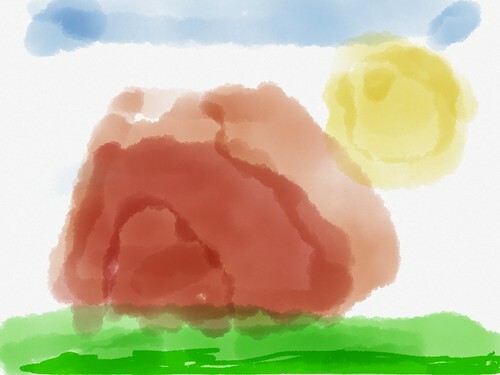 We’ve also used the Sketches app on the iPads this year to produce some fantastic artwork. 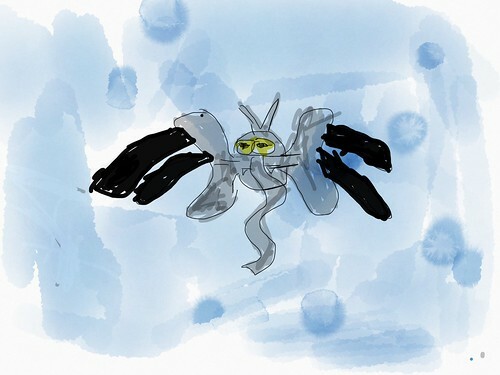 Year One sketched aliens as part of their Learning Challenge What do aliens think of life on planet Earth? 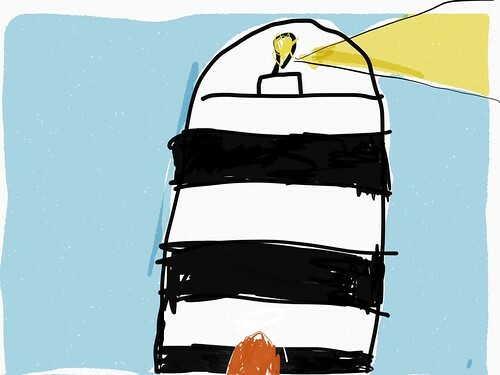 Year Two researched different types of lighthouses, and their distinguishing markings, as part of their Learning Challenge. Year Five created their own rainforest hybrids by combining three rainforest animals together, can you guess what their designs incorporate? 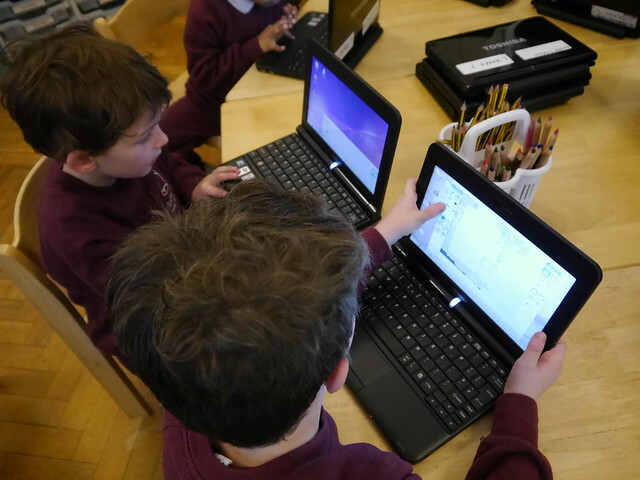 Year Four used 2Simple software on desktop computers to create digital worlds to for the location of the stories they were writing in English!